How Zorro became an enduring icon. Zorro, the masked, swashbuckling hero we all know and love — possibly from one of several television series, or from the most recent film incarnation with Antonio Banderas — has been around since 1919. He’s been getting regular sequels and remakes for nearly a century. Originally a pulp-fiction character by Johnston McCulley, Zorro first appeared in a serialized tale called The Curse of Capistrano. It was immediately picked up by the king of silent film-era Hollywood, Douglas Fairbanks, who produced and starred in the film adaptation, The Mark of Zorro. The uniqueness of the Zorro franchise, at the crux of major evolution in both literature and film, and his enduring legacy, made The Mark of Zorro the first cinematic representation of a bonafide superhero. So what can today’s superhero cinematic universes learn from Zorro? He has a lot of obvious similarities with today’s superhero pantheon: he wears a mask, juggles his secret identity with a prominent public identity as Don Diego de la Vega (in which he presents opposite characteristics), and fights for good, defending the defenseless against corruption. He has a love interest of course, who crushes on Zorro but ignores his advances as Diego. His “powers” are cleverness and righteousness, honor and noble blood, the last of which being the only conceivable equivalent to radioactivity and mutation in the time period that birthed the character. Luis Valdez calls Zorro the precursor to Batman, and not just because he dresses all in black: “You know, a lot of people don’t realize the roots of Batman are really Latino. They don’t go back to the bat god, the ones the Mayans had — they had one that was a “bat man”, they had sculptures of him, literally they had bats down there — but the other, more relatively recent inspiration for Batman was Zorro. But Zorro was based on the California bandits. Joaquin Murrieta and Tiburico Vásquez.” The eponymous novel by Isabel Allende recasts Zorro’s backstory in a way that has also drawn the Batman comparison. The lone vigilante figure is highly influential in the superhero genre, and it is, of course, much older than Zorro. But there are a couple of circumstances around the release of Zorro that make him a stand-out. He is a character at the crossroads of the old school, Musketeer-style bravado and up-and-coming western genre. On film, he emerged not long after the success of silent film adaptations of The Three Musketeers and The Scarlet Pimpernel, but he’s proved to be a much more popular and enduring icon. Perhaps his American roots gave him a populist edge over Baroness Orczy’s hero, or his role as a defender of the common folk rather than English elite. The setting, in 1850s California (still under Mexican rule), taps into the romanticism of the American West, while still keeping a little bit of the romance of Old World nobility, with Diego/Zorro himself being a proper nobleman. The Mask of Zorro is usually cited as the definitive example of the swashbuckler film (of which Douglas Fairbanks was also King). When The Mask premiered, this subgenre of action film was just beginning a decades-long run of popularity. Zorro also arrived during a pivotal period in print. His creation came at the height of pulp magazines, cheap serialized entertainment for the masses. They followed the trend of serial novels of the 19th century, but were defined by being even cheaper, more numerous, and more widely distributed. 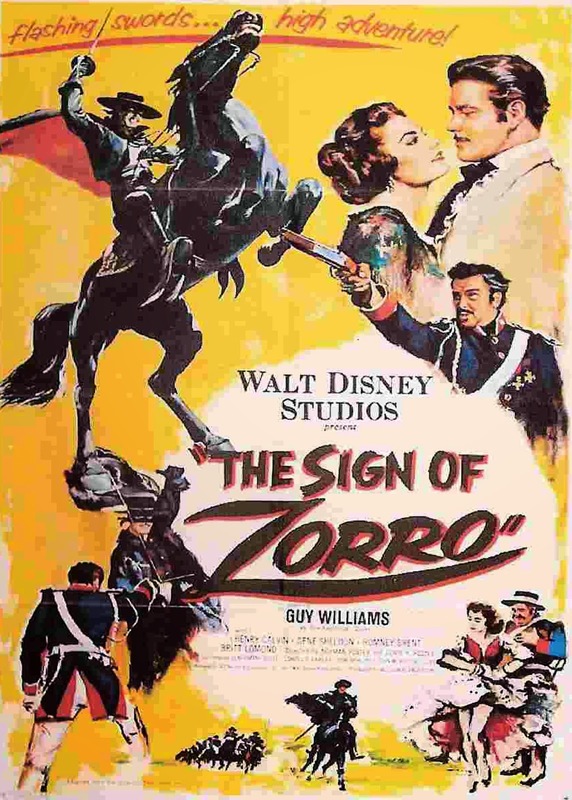 Johnston McCulley was a typically prolific writer, producing hundreds of volumes under a handful of pen names, but Zorro was by far his most famous creation. The popularity of his masked hero would lead McCulley to write dozens of sequels. Pulps were a precursor to comic books (which largely replaced them), and a natural segue from the serial novel. Whereas serialization was previously the publishing medium du jour (many canonical novels of the 19th century were originally serialized), the early 20th century ushers in a division between what we consider reputable, literary fiction and serialized fiction, which became characterized by ‘quantity over quality’. Soon the serial would move to radio and television, leaving comics as the only major print serial. In fact, most of Zorro’s print appearances since the 1940s have been in comics. The character is now known to audiences mostly through the numerous TV and movie versions. Through these many sequels and adaptations, Zorro became a legacy character, one who passes their identity on to a worthy successor. Most recently, the 1998 film The Mask of Zorro saw Anthony Hopkins’s Zorro pass the mantle to Antonio Banderas. As much fun as we’ve had with Zorro over the last century, it will be refreshing to see him played by an actual Mexican for, shockingly, the first time in a major American film version, when Gael Garcia Bernal takes up the mask in Z. Purported to shift time periods drastically, we expect to see Z lean more heavily on the superhero aspects of the character. Coupled with Mexican director Jonás Cuarón, we should expect some added depth to our superhero alongside his timeless wit and charm.